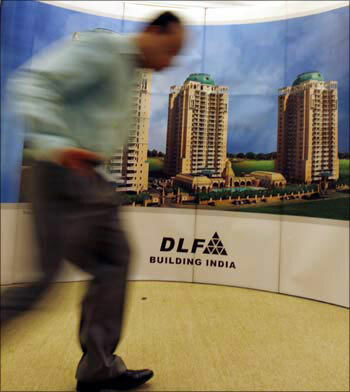 In 2005, Deepak Malhotra, a telecom professional, sold his 2-BHK (bedroom-hall-kitchen) flat in Rohini Sector 8, a north-west Delhi locality, for Rs 21 lakh. His father had bought this flat for Rs 5 lakh, in 1992. 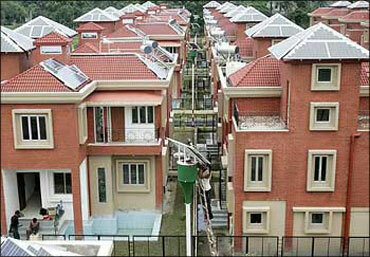 With the sale proceeds of the old house, Malhotra bought a 2-BHK duplex house close to his old house in Sector 3. While changing his home, Malhotra had two things in mind -- more space and the higher possibility of value appreciation of the property in future. Selling the house. Even before you decide to sell your old house, one thing that you need to be very clear about is your ownership of the house. In other words, your equity in the house that you propose to sell should be 100 per cent. Your ownership in a house could be of many types. It took Malhotra almost four months to sell the house. During this period, 15-25 prospective buyers visited his place. In most cases, Malhotra was not satisfied with the offer placed by interested buyers despite the fact that he had done most of his homework, such as preparing the house for sale, carrying out essential repairs and checking the prevailing rates in the locality. When he could not make any headway, he approached a real estate broker, who not only helped him get a decent deal, but also assisted him with the paperwork and legal formalities. Malhotra did not take the help of property portals, an effective way of marketing a property, as he wasn't well versed with the Internet. Malhotra's case, of course, is not an isolated one and also attests to the fact that exits from real estate are not easy. We take a look at how you can make the entire process of selling the house less painful. Property Papers: Firstly, ensure that all documents related to the property are in place. These include things like papers that attest your ownership of the property. Make sure you have paid all the utility bills and taxes on the property. Ensure that these records are in place. If the property is under mortgage, make sure that you have the loan sanction letter issued by the bank/housing finance company (HFC), amortization schedule, payment certificates, and bank account statement for six months showing EMI payments, etc. 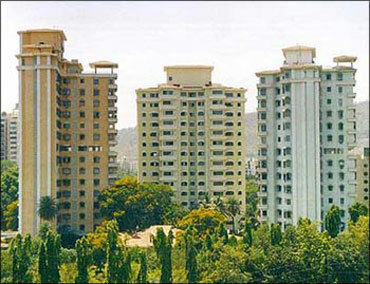 Rajan Sastri, a Pune-based real estate analyst, says: "Keep a photocopy of all house documents ready. If the buyer goes for a home loan, the bank or financing institution will require to check your documents." If you are unable to furnish the necessary documents on time and in proper format, the bank/HFC may decline the buyer's loan application and you would lose a prospective buyer. Make a summary of your property. Note down details, such as the super-built up area, built-up area, carpet area, age of construction, builder's details, ownership details, location details-like distance from the nearest railway station, bus stop, airport, hospital, school, market, club and park, and so on. Pricing your house. Ascertain the market value of your house. You can get an idea of the prevailing capital values of a similar type of property in the locality by entering the necessary information on any online real estate portal. You can also take the help of real estate agents and property valuers. Before arriving at a price for his house, Malhotra visited five real estate agents. Pricing your property is an important part of the process as, in most cases, that is starting point of talking with a prospective buyer. Quoting an unreasonably high price shuts out genuine inquiries. Timing: Sometimes, the sale is forced forward due to circumstances that need immediate action, for example, relocating to a new city due to job change. However, if you have the luxury to choose the timing, initiate the selling process when the demand in your area is high. This will help you get a better price for your property. Carry out necessary repairs: Malhotra says: "We made few repairs and whitewashed the house a few months before selling. This helped us a lot." A property in good shape fetches a higher value. 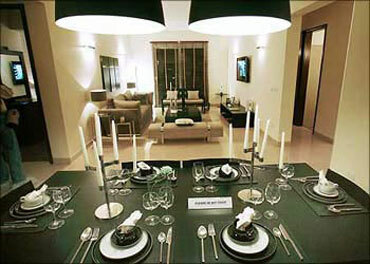 Try to re-do the interiors in such a way that it gives an impression of extra space; remove unnecessary furniture. A clean and spacious house always attracts more buyers. Fix up lights where required. Says Sastri: "Keep all windows open. Let fresh air and sunshine come in. Importantly, the house should not smell. Switch on lights wherever required. A brightly-lit, airy house presents a welcome picture to the buyer." These small changes will not cost much, but may play a vital role in the sale. Marketing the property: You can take the help of real estate agents, classifieds and property portals. Property portals help reach out to a larger audience. Try to list your house on all portals which provide free listing. Mention details such as age of construction, time of possession, ownership type, etc. If there is an option to put a picture of the property, do so. (For more details on how to use realty portals, see Clicks Count And How). You can also put up an ad on a nearby crossing, at busy markets and intersections. You can also use word-of-mouth to let people know about your house by telling your friends, relatives and neighbours. Charges related to the sale process. If you take the help of a real estate agent, you would need to bear an extra cost in terms of brokerage, over and above the cost of advertisement in classifieds and portals. Some agents don't charge for the ad they put up on your behalf. Generally, the real estate agent charges range between 1 per cent and 2 per cent of the actual sale consideration. If you try to negotiate much on agent commission, it may reduce their interest in your property. In Malhotra's case, the real estate agent helped him get a price higher than his expectations, and also assisted him with the necessary paper ork. He charged a commission of 1 per cent of the sale value. In the next part, we will dwell on how to calculate capital gain, the procedure involved, and how to avoid or minimise tax liability. Arrange documents: Keep handy all documents related to your house, such as registry papers, approved building plan, last paid municipality, house tax and electricity bills, etc. Price your house: Ascertain the market value of your house. Quoting an unreasonably high price shuts out genuine inquiries. 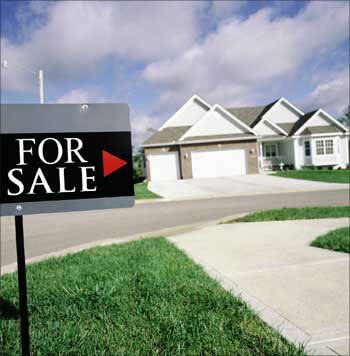 Timing: Start the selling process when the demand in your area is high, so that you can get a better price. Make some improvements: A clean and spacious house always attracts more buyers. Fix up lights where required, do up the interiors. Market the property: You can take the help of real estate agents, classifieds and property portals. Joint ownership: These days, a house is typically bought by husband and wife. In such cases, the signatures of both owners are needed to execute an agreement to sell. If one of the owners is not in town, he/she can give a power of attorney on his/her behalf to the other. Inherited property: "If the property is inherited from grandparents, it can only be transferred to legal heirs as per the Hindu Succession Act and Transfer of Property Act. If it's been purchased by parents, it can only be transferred as per the will or, in absence of will, to the legal heirs," says Supreme Court advocate Harsh Pathak. The distribution of property among legal heirs in India depends on the religion of the deceased. The succession and devolvement of property are covered under the Indian Succession Act, 1925, Hindu Succession Act, 1956, and the Shariat law for Muslims. The Indian Succession Act covers Christians and Parsis; the Hindu Succession Act applies to Hindus, Sikhs, Jains, Buddhists. Under Mortgage: You can't sell a property until any outstanding loan on it is paid off. However, there is a way around that. 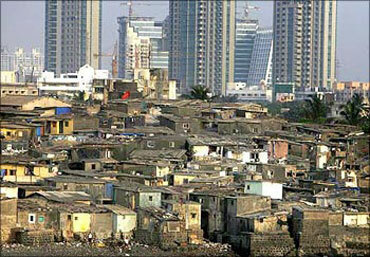 Suppose, A wants to sell his house to B for Rs 30 lakh on which he has an outstanding loan of Rs 14 lakh. Assuming B also plans to mortgage the house and approaches the same institution for loan. A needs to enter into an agreement for sale with B. Then, he needs to get this agreement registered by paying the stamp duty. He also need to obtain an NOC from society/builder (in case of an unregistered society). The new set of documents has to be submitted by B to the lender. Assuming B's loan for Rs 25 lakh is approved, the bank will transfer the outstanding loan of Rs 14 lakh to B and issue a cheque of Rs 11 lakh in favour of A. The remaining Rs 5 lakh will be paid by B directly to A.